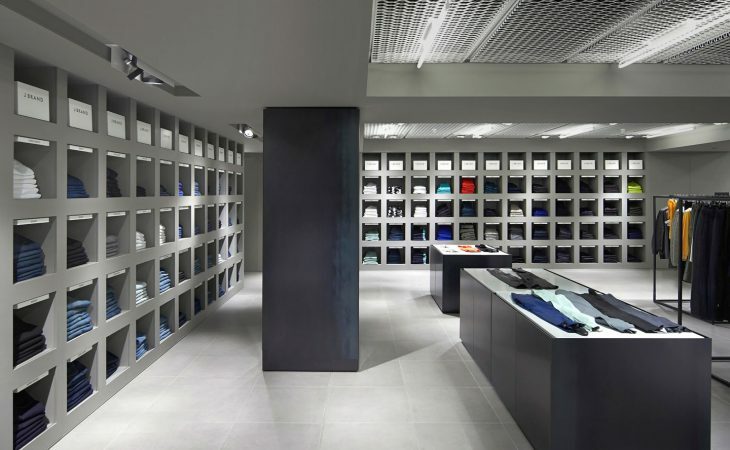 Harrods Fashion Lab - Retail Design | Found Associates. The Harrods Fashion Lab is one of a number of prestige retail design projects that Found Associates has completed for the iconic London department store. Situated on the fourth floor of the Harrods building, the 50,000 square foot Fashion Lab represents a major new addition to the fashion offer, focused upon denim and labels for a youthful audience. Found Associates produced a contemporary design for the interiors of the Fashion Lab, creating a strong but accessible arrangement of avenues and promenades interspersed with linear structures and display units. Elegant display shelving borders the denim department, while signage and temporary fittings are kept to a minimum within a structured and considered design policy co-ordinated by Found. The result is a feeling of permanence combined with clarity and exquisite detailing, with cast concrete floor tiles and a bespoke ceiling grid with layered lighting. 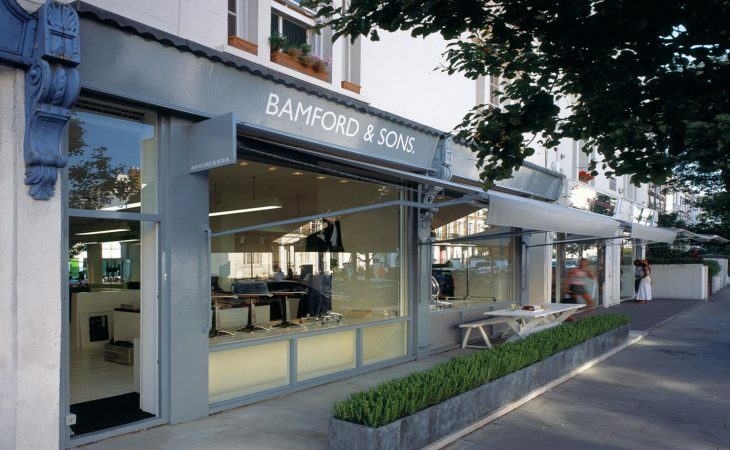 The practice also designed Harrods’ Ladies Shoe Boudoir and a number of in-store concessions.